Nutrisca dog food is made by the Dogswell company. Based in Los Angeles, Dogswell markets and sells brands under the Dogswell, Happy Hips, Vitality, Nutrisca, and LiveFree brand names throughout the U.S. and Canada. The company was founded in 2004. The company makes dry dog food, canned dog food, several kinds of treats, and cat foods. According to the company, “We’re committed to the quality and integrity of our products. We only use high quality, purposefully chosen ingredients and absolutely no corn, wheat, soy, artificial colors or artificial flavors.” In 2015 Dogswell acquired Natural American Pet Products (NAPP) and Natural Life Pet Products (NLPP), which included Natural American Pet Products’ SQF-certified production plant based in Joplin, Missouri used for developing and producing high-quality premium chicken, beef, and duck pet treats. Both Dogswell’s dry and canned foods have previously been listed as approved foods by the Whole Dog Journal. Dogswell uses co-packers to make their foods. Per the company: “Our co-manufacturing plants operate under programs like HACCP (Hazard Analysis and Critical Control Points), Sanitation Standard Operating Procedures (SSOP’s), Good Manufacturing Practices (GMP’s) and others under a system for managing food safety and quality.” They also say they have a rigorous testing program for both raw materials and finished products; and independent third party auditors ensure that all food safety controls and procedures are followed. According to the Whole Dog Journal, KLN Enterprises (Tuffy’s Pet Foods) makes dry foods for Dogswell; Simmons makes their canned foods. We did find recall information regarding Dogswell and Nutrisca. Dogswell jerky treats were recalled in 2013. Nutrisca dry dog food was recalled in February 2015 because of concerns about Salmonella. In 2012, Dogswell voluntarily recalled some Catswell VitaKitty treats because of concerns about propylene glycol. We didn’t search any farther back and the FDA site makes it difficult to do deep searches now. There are some anecdotal blog posts online but no recalls associated with them. Check Chewy.com and other online pet food sites for discounts on their foods. 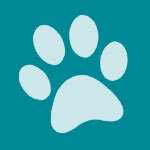 You can visit the Dogswell Facebook page to stay advised of upcoming specials and new products. Dogswell offers prizes and promotions on their Facebook site. Many of these treats are very popular. Even if you don’t feed your dog Nutrisca, you may have picked up a package of Dogswell’s treats at the pet store. I know I have – and with no ill effects for my dogs. Dogs love them. That said, I don’t think there’s any doubt that many people have had problems with jerky treats and treats made in China (or using ingredients from China). Like everything else you give your dog, you have to use care. If you’re afraid to buy treats, make some for your dog. Most dogs love simple baked liver cut in small pieces. Or, give him some of your food. We all know that’s what dogs really want anyway. Bites of baked chicken breast or cheese make good treats. Even dogs that are lactose-intolerant can eat small amounts of cheese without a problem. Back to dog food. Dogswell makes both dry dog food and canned. They have four lines of canned food: LiveFree, Nutrisca, Vitality, and Happy Hips. LiveFree includes “digestibits” – a proprietary blend of pumpkin, eggs, prebiotics, probiotics, and 11 antioxidant-rich fruits and veggies to help maintain digestive health; pumpkin, and prebiotics for digestive health. LiveFree comes in two chicken stew formulas – one for adult dogs and one for senior dogs. It also comes in salmon stew for adult dogs and a lamb stew for adult dogs. Nutrisca has high protein and it’s grain and potato-free. These canned foods come in a chicken and chickpea stew; a salmon and chickpea stew; and a turkey and chickpea stew. Note that chickpeas will increase the protein percentage of a dog food so that is probably where some of the extra protein comes from. Vitality has added vitamins for “holistic wellness” (which seems redundant). It comes in a chicken and sweet potato stew; a duck and sweet potato stew; and a lamb and sweet potato stew. Happy Hips has glucosamine and chondroitin for hip and joint wellness. These canned foods include chicken and sweet potato stew; duck and sweet potato stew; and lamb and sweet potato stew. Dogswell has dry dog foods that are both grain free and grain-inclusive. They have no corn, wheat, or soy. They make four product lines of kibbles – matching the canned product lines: LiveFree, Nutrisca, Vitality, and Happy Hips. LiveFree kibbles include: Chicken Senior Dog Food; Chicken Adult Dog Food; Chicken Puppy Dog Food; Salmon Adult Dog Food; Lamb Adult Dog Food; and Turkey Adult Dog Food. Crude protein percentages for these foods are around 36-40 percent; crude fat percentages are 14-18 percent. Kcal/cup ME (calculated) range from 387 to 412. Most of the foods do contain pea protein and dried eggs which increase the protein percentages (LiveFree Chicken Senior Dog Food does not appear to contain pea protein). Nutrisca kibbles are grain and potato-free. They include Chicken and Chickpea Dog Food; Salmon and Chickpea Dog Food; and Lamb and Chickpeas Dog Food. Crude protein percentages for these foods are 30-32 percent; crude fat percentages are 16-18 percent. Kcal/cup ME (calculated) range from 350 to 370. Vitality has only one kibble selection: Chicken and Oats. The first five ingredients are: Chicken, Chicken Meal, Oats, Barley, and Peas. Crude protein is 24 percent; crude fat is 12 percent; Kcal/cup ME (calculated) is 365. Happy Hips also comes in only one kibble selection: Chicken and Oats. The first five ingredients are: Chicken, Chicken Meal, Oats, Barley, and Peas. Include glucosamine and chondroitin. Crude protein is 24 percent; crude fat is 12 percent. Kcal/cup ME (calculated) is 360. We can look more closely at the Nutrisca kibbles now. Made with cage-free chicken and protein-rich chickpeas. Absolutely no grains or potatoes. Premium salmon recipe with protein-rich chickpeas. Absolutely no grains or potatoes. Premium antibiotic-free lamb and protein-rich chickpeas. Absolutely no grains or potatoes. Nutrisca kibbles appear to have good sources of meat protein as the first ingredient, supplemented by meat meals such as chicken meal, lamb meal, salmon meal, and menhaden fish meal which are also good sources of animal protein. The foods also use plant protein from peas, chickpeas, and flaxseed in the first five ingredients meaning they are significant ingredients by weight. (Flaxseed is 12 percent protein, along with its other attributes.) The foods also contain pea fiber lower in the ingredient list which adds more plant protein. Nutrisca’s kibbles contain desirable named fat sources. And they have no artificial flavors, colors, or preservatives, though the food does use “Natural flavor” which is often a red flag because it is vague and can refer to something called diacetyl. Natural flavor has also been associated with a free form of MSG that isn’t included on labels. Natural flavor is a term that can mean just about anything and we see it often in dog foods – even in super premium dog foods. Overall the Nutrisca kibbles look like they contain good meat protein but probably not as much as pet lovers think they are buying based on the crude protein percentages in the guaranteed analyses. The first five ingredients in Nutrisca Chicken & Chickpea Recipe dog food are: Chicken, Chicken Meal, Peas, Chickpeas, and Menhaden Fish Meal (a source of fish oil). So, that’s three sources of meat protein in the first five ingredients; and two sources of plant protein (peas and chickpeas). Chicken and chicken meal are both good sources of meat protein. Chicken refers to whole chicken and in this case it is cage-free chicken. With the moisture removed the chicken might come lower in the ingredient list, but it’s still a good meat protein for dogs. Chicken meal has already had most of the moisture removed and it contains a higher protein content than whole chicken because it is concentrated. Chicken has about 80 percent protein and 20 percent fat. It’s a good source of Vitamin B6 and Phosphorus, and a very good source of Niacin and Selenium. Peas usually refers to field peas or split peas (yellow or green). Peas are high in plant protein and low in fat. They are also a source of fiber that makes dogs feel full. Some dogs digest peas better than others. Nutrisca’s kibbles have relatively high fiber percentages compared with most other kibbles and the presence of peas (and chickpeas) in the first five ingredients could explain it. Peas have about 25 percent protein, 72 percent carbohydrates, and 3 percent fat. They are typically a good source of Thiamin, Folate and Manganese, and a very good source of Dietary Fiber. The food also contains pea fiber and pea starch later in the ingredient list. Chickpeas (garbanzo beans) are a legume. They are high in protein and, along with being used in human foods, they are used in animal feeds. Raw chickpeas have certain characteristics that make them easier for nonruminant animals (chickens, pigs, other farm animals) to digest than peas, common beans, and soybeans. It also gives them a higher nutritional value for these animals. Chickpeas have about 19 percent protein and 13 percent fat; they have about 68 percent carbohydrates. They are considered to be a good source of Dietary Fiber and Copper, and a very good source of Folate and Manganese. The fifth ingredient in this Nutrisca recipe is Menhaden fish meal. Menhaden is a common commercial fish found in the Atlantic, Gulf of Mexico, the Yucatan Peninsula, and even the Pacific. Menhaden are not directly used for food today. Instead they are used for fish oil and as ingredients in other foods, in animal feeds, and as dietary supplements. Menhaden is very high in omega-3 fatty acids. Menhaden fish meal has an estimated protein percentage of about 62 percent, with a fat percentage of about 9-10 percent. According to Nutrisca, their Menahaden fish meal is not preserved with ethoxyquin but please remember that this is something that is subject to change with dog food companies if they change suppliers. The food has several natural preservatives/anti-oxidants: cranberries, blueberries, and rosemary extract, for example. Tomato pomace is a good source of soluble fiber as well as B vitamins, lycopene, and vitamin A. It is not just a filler ingredient as some have claimed. Salmon oil is an excellent marine source of omega-3 fatty acid – good for your dog’s skin, coat, brain, heart – just about everything. The food also uses chelated minerals which make it easier for your dog to digest and absorb them. The minerals are bonded to proteins. Chelated minerals are also known as “proteinated” minerals. Chelated minerals are more expensive so you usually find them in more expensive dog foods. Overall, Nutrisca Chicken & Chickpea Recipe dog food looks like a better than average dog food with good meat protein and quite a bit of plant protein. Calories are moderate. Nutrisca Chicken & Chickpea Recipe dog food contains 370 kcal/cup. This makes the food moderate in terms of calories. The dry matter basis (DMB) figures for this food are: protein 35.6 percent; fat 20 percent; fiber 7.8 percent; carbohydrates 27.8 percent. This food has above average protein and above average fat compared to most super premium dog foods. The fiber content is very high for a kibble; and the carb percentage is low compared to many dog foods. While most of the ingredients in NUTRISCA® Chicken and Chickpea Recipe dog food look good, we are somewhat concerned about the fiber percentage of the food. Even though the food is low in carbohydrates for a dry dog food, we think that some dogs will have digestive problems eating a food that is almost 8 percent fiber (DMB). Two of the first five ingredients are plant-based proteins (peas, chickpeas) and there is pea fiber and pea starch add later in the ingredients. If your dog has digestive problems eating this food, it’s probably because of the high fiber. Most dogs don’t need this much fiber, even if the ingredients are good quality. Where can you buy Nutrisca dog food? You can buy Nutrisca dog foods on Chewy.com and other online pet food sites. You can also check the Nutrisca web site to see where to buy their foods. You shouldn’t have too much trouble finding their foods. We think that many of the ingredients in the Dogswell foods look good, including the Nutrisca dry foods. Some people will like this food because it has lower carbs compared to many kibbles. However, we have some concerns about the high fiber percentages in the foods. We also think that some dog lovers may be fooled into thinking that the crude protein percentages reflect the meat protein in the food. A lot of the crude protein percentage includes plant protein. Some plant protein is fine and we realize that dog food companies try to save money by using peas, chickpeas and other plant sources of protein instead of meat. However, we hope that consumers are not misled into thinking they are buying a lot of meat protein for their dogs when the food actually contains a lot of plant protein. We don’t think that dog food companies should tout the benefits of these plant proteins and try to make consumers believe that they are the best things for dogs. If your dog has problems eating the Nutrisca kibbles it will probably be due to the high fiber content in the food. Look for another food that contains less fiber – around 4 percent. This is the norm for most kibbles. Is any of the ingredients sourced from China. I am debating on Nutrisca Salmon or Victor Salmon. I am feeding 10 rescue dogs.